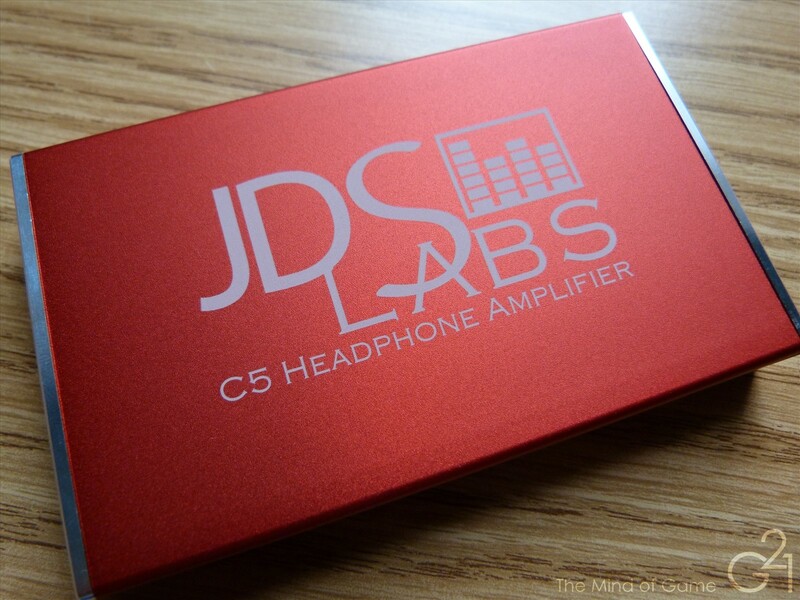 First, I’d like to thank John Seaber at JDS Labs for the C5 review sample. 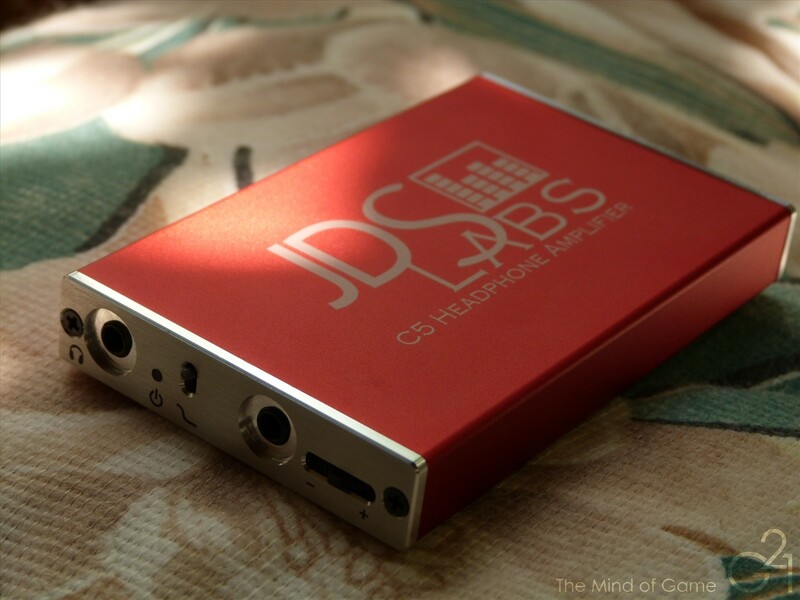 Up next in part 4 of my amplifier round up series is the JDS Labs C5 the second generation portable amplifier designed by JDS Labs itself (replacing the outgoing C421) and is claimed by its creators to deliver “reference level performance”. So does it deliver on its lofty claims or will it fall by the wayside? Read on to find out. Built with machined aluminum, the C5 is a very solid portable amplifier that feels like it could take quite a few knocks and keep going like a champ. The input and output jacks and the power and bass boost switches are very solid. The Volume control is different from the traditional ALPS potentiometers used on the O2 and CMoyBB in that it is a digital rather than analog potentiometer. JDS Labs claims this was implemented to eliminate channel imbalance at lower volumes. 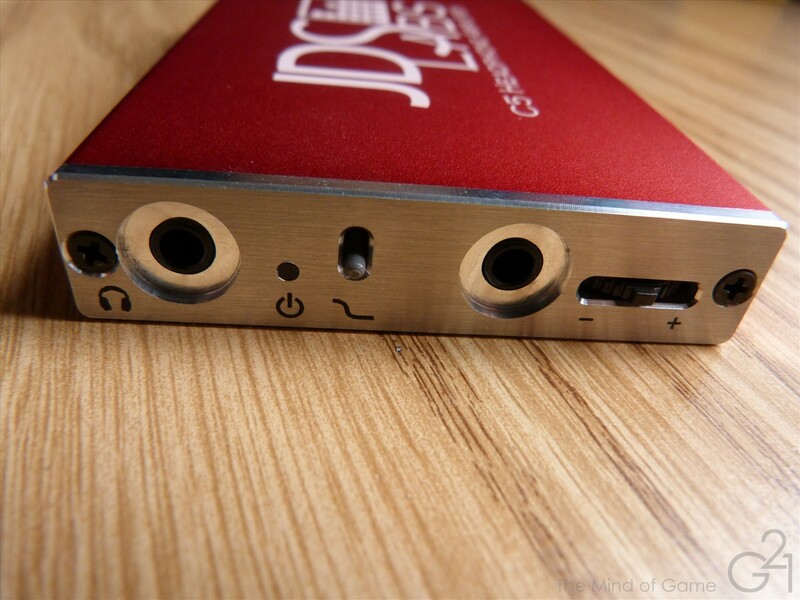 Unlike the lower end Fiio E11, the C5 can operate while charging. The C5 comes with an instruction guide, a 3 ft. Monoprice USB cable and a set of rubber feet. The JDS Labs C5 has two gain settings, which are toggled between by pressing in the volume control and, at 2.3x and 6.5x, is almost identical to the O2’s stock dual gain configuration and should provide ample power for anything short of orthodynamic or planar headphones. There was no discernable hiss when listening to the C5, even with my most sensitive earphones. One flaw the C5 has is its 2.2 ohm output impedance and all sources should ideally have an output impedance of zero ohms so as to prevent impedance swings but most and headphones, even sensitive balanced armature earphones should be fine. 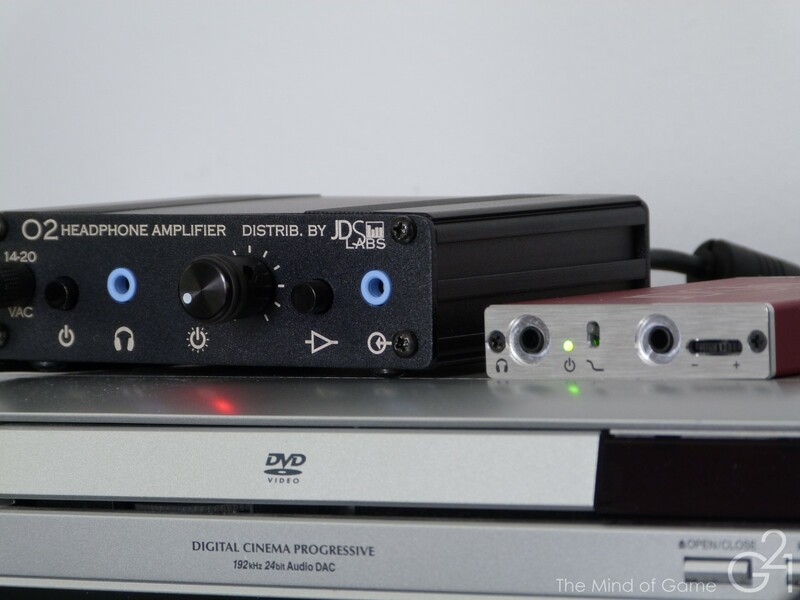 As long as headphone impedance is 8x larger than an amp’s output impedance, the amplifier’s impedance is of no concern. So for our C5, the minimum recommended headphone impedance is 8*2.2 = 17.6 ohms. In actuality, 2.2 is a worst case scenario. This specification is generally <= 2.0, meaning even 16 ohm headphones are typically acceptable. I rarely come across headphones or earphones with a lower impedance than 16 ohms so I assumed this would be a non issue for most users but seeing as I have an earphone in my possession right now with a low 12 ohm impedance (Sony’s XBA-3IP), I should’ve mentioned it regardless. So, though the C5 has an output impedance of 2.2 ohms which admittedly isn’t ideal, it may not be an issue for the vast majority of users, all things considered. The C5 is rated for 11 – 14 hours and I found the real world battery life to be closer to the 11 hour figure in my tests. Fantastic. Plain and simple. Its frequency response is flat, there’s no hiss to be found, no ultrasonic crud to muddy up the sound and its transparency and clarity are top notch because of it. To put it simply, this is the best portable amplifier I’ve ever heard, and that’s saying something. Where the C5 really shines is in its bass boost switch, which has become something of a hallmark of JDS Labs’ amplifier designs. With the flip of a switch, you get a significant but not overbearing boost to low frequencies that, in practice, sounds great. At 6.5 dB of boost at its peak, the bass boost isn’t for everyone or every pair of headphones but it is satisfying to use with my HD 600s and my HiFiMan RE-400 and RE-262s. It goes without saying that bassheads should be quite pleased with the C5. Now I know that it’s hardly fair to include a $189 amplifier in the same category as amplifiers costing less than $100 so I’m not going to judge it head to head with those amplifiers. Instead, I’m going to compare it to the king of “portable” amplifiers, the Objective 2. So, after listening to the two side by side, how does the C5 compare? Well, I’m hard pressed to tell a difference, which is the best compliment I can think to give it. Not only does it have the power to adequately power my HD 600s in step with the O2, its transparency is nearly identically excellent. 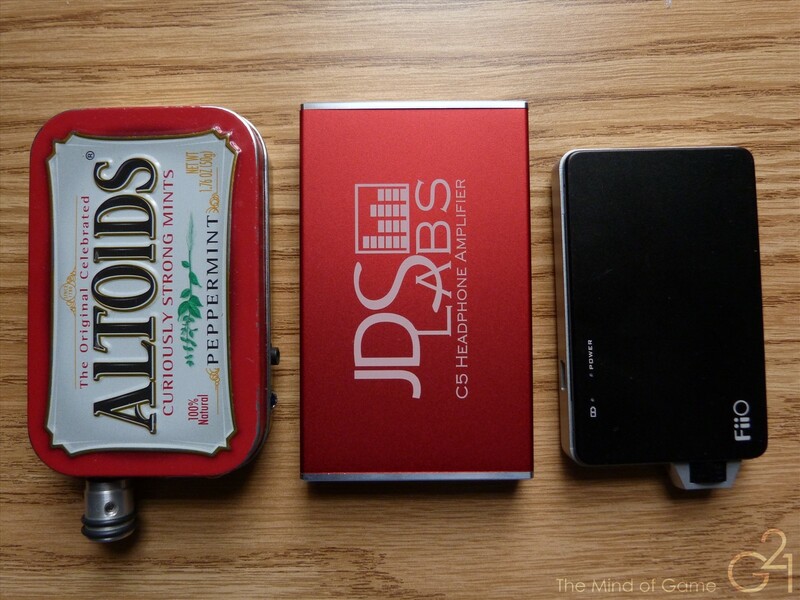 Granted, the O2 is technically a portable amplifier as well and does cost less than the C5 but due to its rather bulky design that’s not at all pocket friendly, I’d really only refer to it as a “transportable” amplifier. Yes, you can bring it with you and yes, it runs on batteries but the O2 is simply too big and cumbersome to work well in a truly portable setup. The O2 is the type of amplifier you bring with you to listen to when you have a desk or table nearby while the C5 pairs well with similarly sized portable players and fits easily enough in a pocket (as long as you’re not wearing skinny jeans). Overall, there’s no doubt that the C5 is a very capable, powerful and transparent portable amplifier that sounds fantastic with every headphone I tested it with. It feels like a solid piece of equipment in the hand and seems worthy of its $190 asking price from the JDS Labs website. While I don’t think it’s quite on the same level as the cheaper (but less portable) O2, the differences between the two are minute and considering the O2 has been compared favorably with amplifiers costing many times its price, that’s saying something. If you’re in the market for an excellent portable amplifier, the C5 shouldn’t disappoint.